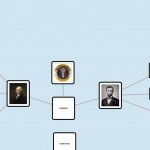 Home » Spotlight » What’s Popping about Presidents? That is a great question at Woodway Elementary school. 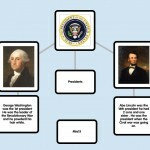 Mrs. Metz’s 2nd grade class used Popplet, an online interactive mind map, to research and compare 2 past presidents for their study of Presidents’ Day. Check out two sample products below. Want to learn more about Popplet? CLICK HERE.